High accuracy benchtop dissolved oxygen meter is equipped with a large LCD display. 1 or 2 points calibration using airsaturated water and zero oxygen solutions. Automatic Temperature compensation ensure accurate reading over the entire range. Calibration Due Reminder prompts user to calibrate the meter regularty. Selectable temperature unit (ºC or ºF)meets different application requirements. Help message as a operational guide that helps you quickly begin using the meter. 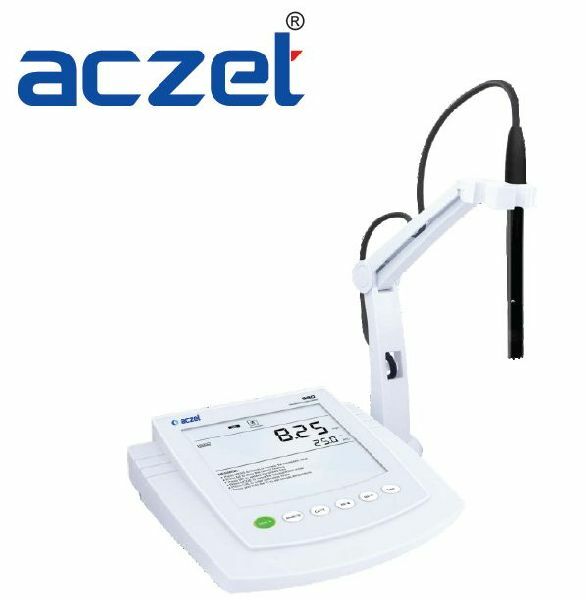 System menu allows setting the 9 parameters, including the number of calibration points, resolution, stability condition, concentration unit etc. Built-in real-time clock stamps sored data to meet GLP standard.